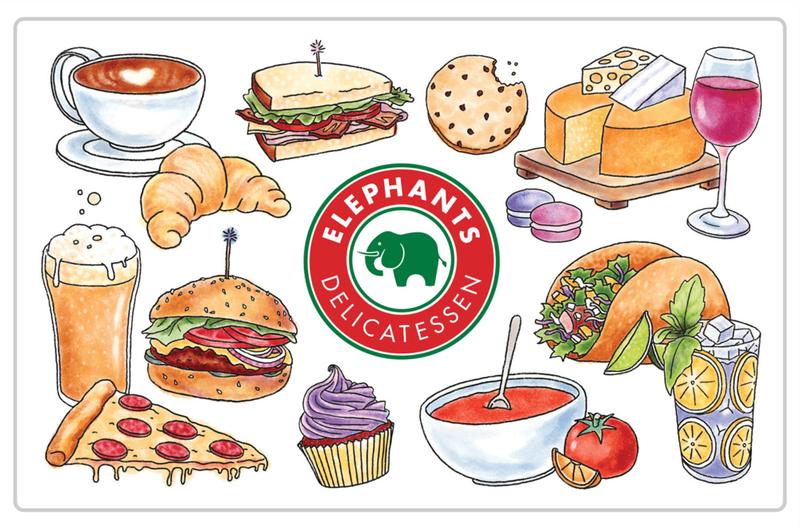 Elephants Delicatessen's motto is "Great local foods from scratch, since 1979." The term "from scratch" is integral to their company ethos, as almost everything sold in-store is made fresh daily and handcrafted. I wanted to follow that thread through the in-store menus and much of the other marketing collateral by elevating the visual taste of the brand through hand drawn illustrations. It also harkens back to classic deli art alluding to Elephants 40 year history in Portland. Here is a selection of that art and some of the ways it is utilized.